"Arts Council England plans to end funding to queerupnorth from April 1st 2008. queerupnorth is the UK’s leading lesbian and gay arts festival, a Manchester institution, and the only organistion of its type in the UK with an local, national, and international reputation. queerupnorth will be appealing this cancellation of funding; Arts Council’s Regional Board, chaired by Tom Bloxham, will meet on January 25th to consider the appeal. 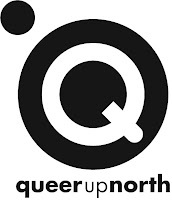 queerupnorth is an important arts festival with a key role to play in portraying the LGBT community in a positive light and in challenging complacency, discimination and homophobia, which remain challenges to be faced in our society - all from a bona fide arts platform that enriches community life for all in the Manchester area." Follow this link to find out more about the festival's campaign.